Read how Steadfast helped a software service provider develop dedicated server solutions to solve the company’s bandwidth and resource problems, resulting in greater resilience and reliability. 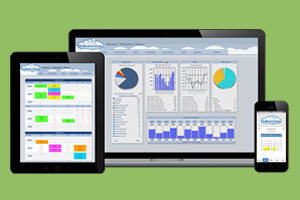 Prosite Business Solutions is a West Virginia company with 16 employees who provide cloud-based real time service management software to a wide range of enterprise and SME businesses, including retailers, cable and internet service providers, utility companies, and mobile carriers. Prosite Business Solutions founder and CEO Jason Warren started his business as a small web and Microsoft Access development consultancy almost 20 years ago. Applying his expertise to the problem of on-site service management, he built ProBusinessTools, an industry-leading cloud service management platform used by over 200 companies in the US and internationally, including Fortune 500 companies and national brands. Currently, ProBusinessTools manages more than 7000 field technicians, scheduling and dispatching them to over 140,000 appointments every month. 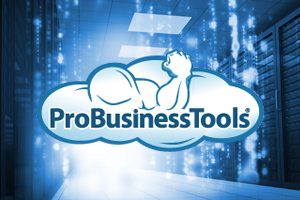 At periods of high-demand, the server hosting the ProBusinessTools application reached the limits of its resources, leading to poor performance for users. Much of the company’s technical efforts were diverted to dealing with their slow hosting platform. The hosting provider couldn’t offer more resources because ProBusinessTools was already hosted on its most powerful server. “We were using their largest server they provided which was much lower in performance than Steadfast’s top servers. We were topping out at 80% during peak times and causing slowness in our application. For a business that depends on its infrastructure, the situation was intolerable. We spent way too much of our time running on the spot when we wanted to be innovating because we had to constantly babysit our servers. It was a stressful time for all of us." ProSiteBusinessTool’s servers were too slow to support the growing company, causing latency, customer dissatisfaction, and stress for the company’s IT and support teams. The company was forced to balance the increasing demand for its services and software with the need to satisfy its existing clients on hardware already pushed to its limits. Users of the software frequently reported timeout issues,especially when generating reports, an essential part of the application’s functionality. Eventually, the company was forced to start rationing access to its software, triaging who could use the software and who had to wait until resources became available. The hosting provider was unwilling and unable to work with the ProBusinessTools team to build a suitable hosting platform, and they were also unable to offer ProBusinessTools a redundant high-availability hosting solution within a reasonable budget. Eventually, the original host was acquired by a larger hosting company, which was in turn acquired by an even larger company. As is often the case when hosting providers consolidate through acquisitions, the quality of customer support substantially declined. Plagued by a combination of inadequate hardware and negligent support, ProBusinessTools decided it was time to look for a more capable hosting provider. After investigating several hosting providers, the head of the Prosite Business Solutions IT team was particularly impressed with Steadfast’s ability to offer concrete suggestions about infrastructure solutions to solve the company’s bandwidth and resource problems. Steadfast’s server and network infrastructure are easily capable of supporting the load generated by ProBusinessTools. The company’s state-of-the-art data centers — located in Chicago, Illinois and Edison, New Jersey — were a perfect fit with Prosite Business Solutions’ plans to build a redundant platform with load balancing and failover between geographically distant locations. In consultation with Steadfast’s team of business and infrastructure experts, the ProBusinessTools team chose a pair of dedicated servers with SSD storage located in the Chicago and New Jersey facilities. Although originally intending to deploy virtual servers, the company reconsidered and opted for bare metal servers with Solid State Drives because Steadfast was able to offer the more powerful hardware at a lower cost than competing vendors. Steadfast collaborated on the migration of ProBusinessTools to the new servers, and the service benefited from an immediate reduction in server resource consumption and improved performance. There is more to infrastructure hosting than great technology. Steadfast’s team works closely with its customers to ensure that they get the right mix of hardware and software for the specific needs of their applications and services. Steadfast prides itself on caring just as much about the people it works with as the technology it builds. A highly optimized network that provides low-latency connectivity between data center facilities and Prosite Business Solutions’ location. Consistently available support staff, who are capable of quickly resolving issues and responding with expert and actionable information. Proactive support: Steadfast’s team will often catch and resolve issues before the ProBusinessTools IT team is aware of them. Today, ProBusinessTools is faster than it’s ever been, even as its user base grows. The ability to load balance between servers in different locations reduces load on the individual servers and provides greater resilience and reliability, with the ability to failover to an alternate server if issues should arise. Prosite Business Solutions is now in a great position to focus on growing the business. The ability to provide servers that could accommodate the demand generated by ProBusinessTools and future growth. Geographically separated locations with a low-latency network connection between sites. A support and sales team capable of providing high-quality advice about the optimal hardware to meet ProBusinessTools’ needs.